If you are one of the few who isn’t ready to let subzero temperatures keep you from enjoying a bluebird day, a pair of heated winter gloves is surely your best winter companion. No matter how well you layer from head to toe, your fingers are vulnerable to the cold so keeping them warm and functional is often a priority. Outdoor Research recognizes the need for being able to use and feel your hands in the coldest temperatures which is why we love their collection of heated gloves. Although heated accessories inevitably come at a higher price point, if you’re spending long periods of time in the cold, they are worth the investment. 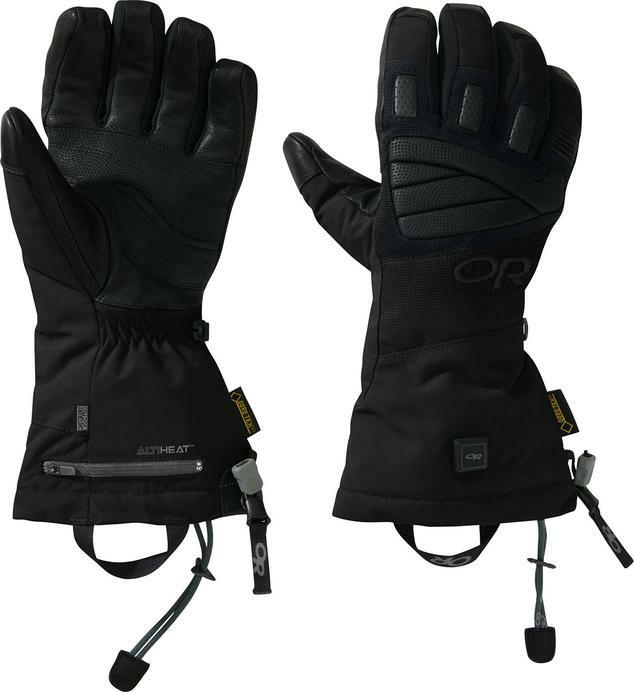 All of the following outdoor Research heated gloves are equipped with rechargeable Lithium ION batteries and feature ALTIHeat Battery-Powered Heating. Whether you’re working around your property, enjoy the sunset from a mountain top camp spot or simply earning your turns in the backcountry, heated gloves are a winter accessory that can only make your adventure even better. Outdoor Research is all about “providing innovation and inspiration for the relentless adventurer” and their collection of heated gloves and mitts are just that. If cold hands ruining your day is what you fear during the winter months, the Capstone GTX Heated Gloves are exactly what you need. Delivering the utmost warmth and waterproof protection, these gloves are sure to be a ski bag necessity for your long days on the slopes. Carrying the title of the warmest model that Outdoor research has to offer, these gloves are worth the investment. You can customize your heat settings so that they are just the way you like and their touch-screen compatibility means you can respond to texts and take photos without needing to take them off. Say goodbye to frigid fingertips and immobile hands, and hello to daylong warmth on the slopes with the Capstone GTX Heated Gloves. Don’t let the bitter winter keep you from enjoying your favourite winter activities outdoors and reach for the Lucent GTX Heated gloves. 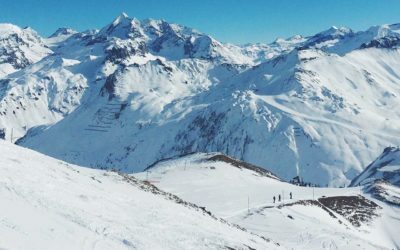 These popular gloves have been a favourite on the slopes since their debut on the market and continue to turn finger-cicles into toasty digits. Durable, weatherproof, breathable and quick-drying, these gloves are ready for the wear and tear of mountain life. Packed full of impressive features including a fleece palm lining, customizable Hi / Med / Low heat settings, WR Goat leather palm and an included carrying case, these gloves are sure to be your new favourite winter accessory. If you’re looking for a more versatile heated glove with a sleeker design, the Stormtracker Windstopper Heated Gloves are a great choice. Although they are not crafted with GTX, they offer breathable, windproof and water-resistant protection on the coldest days. 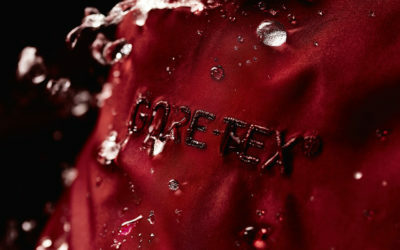 Their less bulky design makes them a favourite for alpine climbing, ski touring and ice climbing. Treat your hands to all day warmth all winter long with the Stormtracker Windstopper Heated Gloves. All three of the heated gloves listed above from Outdoor Research are unisex models making them ideal for both men and women. Sizes range from XS to XL so finding the pair that’s right for you shouldn’t be a problem. Here’s to enjoying longer days in even the most frigid winter conditions without losing the mobility of your fingers.